Efficient vs. Effective | So You Want To Teach? 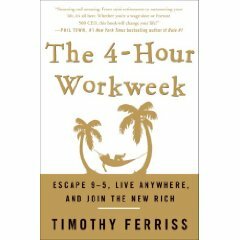 This week, I began reading The 4-Hour Workweek by Timothy Ferriss. It’s an outstanding book. One of the points that he makes in the book is that of being efficient versus being effective. I have prided myself in some ways on being very efficient in most of the things that I do. There is definitely a place for efficiency. But is efficiency to be the goal of everything that we do? I propose that it is not. This can be seen in many things in life. An efficient pitcher in baseball is the one who throws the least pitches. And effective pitcher is the one who has the most results. Now, clearly being both effective and efficient should be the aim, but if effectiveness is lost for the sake of efficiency, then the whole purpose for doing whatever it is we’re doing is gone. A church can be efficient — in the door and out the door in less than an hour — but if it is ineffective, then people are being sent to hell in the name of convenience. Bringing it to the education world, I can be efficient and get all of the tests graded in record time, or have the students read more books than any other reading teacher, or cover more of the book before the end of the first semester than anyone else. But if the students are not learning, I am being altogether ineffective. On the other side, I can throw the book and curriculum out the window and teach what is important for success. If I do that, and they still pass the standardized tests at the end of the year, what harm has been done? Absolutely none. Again, we need to remember that our ultimate goal is to be effective while still being efficient. Effectiveness is ultimately important. Nothing should be given up for the sake of being efficient. This concept applies throughout our lives. Busyness is not necessarily good. Good point – well made. I think the key is that efficiency is only beneficial if it’s targeted towards the right goal. Once I’m heading towards the right goal, then efficiency helps me get there more quickly; but if I’m doing something pointless, then being efficient merely allows be to finish the pointless task faster. Which is better than doing it slowly, but still not as good as just skipping the task in the first place!